Jennifer Kumar explains what Authentic Journeys is all about. You inspire me. Moving to another country is not easy. Yet, everyday people like you move to America. Like countless others, you probably came to America for ‘an easier life’ or a ‘better life’ with more opportunities or freedoms. You came with stars in your eyes and high hopes; but nothing could prepare you for the stark reality that followed after your culture shock set in. Navigating American ways and learning how to relate to Americans and be successful in America is different than in India. You realized that countless hours watching “Seinfeld” and other American television shows in India actually did nothing to prepare you for the real life interactions with Americans. Sometimes the socializing part of daily life becomes so overwhelming due to its difference; some of you isolate yourself or stick only to the Indian groups. On the flip side, if you do not have the luxury of socializing or going to work (such as spouses on dependent visas), you may start to feel trapped in by the four walls. A misunderstanding of the opportunities in American culture or a basic understanding of the safety protocol in your neighborhood possibly mixed with a fear of doing things alone paralyzes you to stay inside the house. Formally a career woman in India with a busy life and an exciting job, sitting at home cooking food and cleaning the house is draining you of your excitement for life. First days pass by like this; then weeks; then months; and if not identified and remedied this can go on for years. Years will pass by with being stuck inside not understanding what you can do in America to keep occupied outside of the four walls of the house; resentment sets in and the misunderstanding of American culture becomes deeper and deeper. How do I come to terms with myself in my new lifestyle? How can I maintain my traditions in the USA? How can I meet other Indians? How can I interact with Americans? Are there community interest groups I can join to make friends? Is my accent holding me back or is it something else? How do I make small talk and relate to my American colleagues or strangers on the street? …Will my Indian community accept me? …Will my family recognize me? How will I raise my children in a different culture? How will my children be affected by being raised differently than their peers? What will I do if my spouse, my children or I encounter racism? How will I guide my child through a different social, cultural and academic culture than the one I grew up in and am familiar with? What happens if I encounter something different? Am I brave enough to ask for help? How can I take the best of both worlds without compromising my identity and values? You may wonder why an American would be the best person to help you feel settled in the USA. Since I became involved in the NRI Indian community in the US in 1996, I have taken a keen interest to build bridges between our cultures and communities. We have so much to learn from each other. From my personal experience living in India and earning a master’s degree, I know my American study habits and individualized approach to learning would have given my teachers no option but to fail me. I would have had to come back to the US without a degree. But, I learned the Indian way to be successful and I ended up graduating first class. It was not an easy road because I had to change my mindset and behavior to become successful. I had no guide, no cross-cultural coach. That was my inspiration to do this work in the US as I saw so many bright, educated Indians in the US with good intentions and ambition but with a clear misunderstanding of how to handle various situations. I have known Indians who have lost a chance to interview for a job due to not Americanizing their resume properly and, once on the job, missing out on promotions their American counterparts would have taken without hesitation. These kinds of mistakes cost these Indians dearly in reputation, job offers and hefty promotions. Though some may have chalked it up to discrimination and let resentment set in, when these situations were analyzed by me; I found different answers. As a cross-cultural detective, I found out the cultural impressions had by Indians from growing up in India mixed with stereotypes had of American ways (which were untrue) often caused missed opportunities. If I put a dollar amount on these- it can range from a few thousand dollars a year promotion to yearly salaries of US100k or more. The thing that struck me most and leaves me aching to help you is that many of these costly mistakes were made purely out of misinformation or a lack of correct information. Acting Indian in America can be advantageous, but not in all situations. In particular situations the Indian habits, mannerisms and mindset has prevented well-deserving Indians from missing great opportunities, better career paths and more personal fulfillment. Since 1996, I have learned the struggles of Indians in America through casual Indian acquaintances, close desi friends and my Indian family. In addition to making mistakes, many Desis in the USA (or abroad anywhere, for that matter) are worried how taking up these American ways to achieve success will threaten their Indian identity. I understand your Indian roots, cultural heritage and mother tongue is important to you. I deeply respect that because of my deep affinity for India. 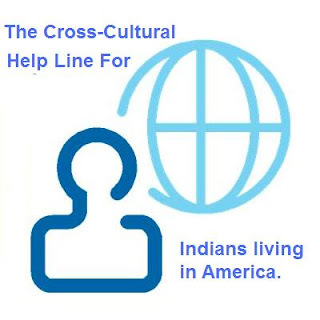 I can help you avoid costly mistakes in America while helping you maintain your Indian identity. It sounds like a tall and impossible order; but it can be done. The world is in your hands. Take charge of your destiny. 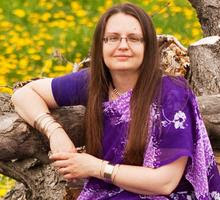 Read Jennifer Kumar's bio here.Frequently Asked Questions about coaching (FAQ). Though I specialize in helping Indians, I understand these concerns are faced by immigrants from various countries. I am open to talking with your other international friends in the US who are from countries other than India. Labels: About Us, Move to and Live in the U.S.